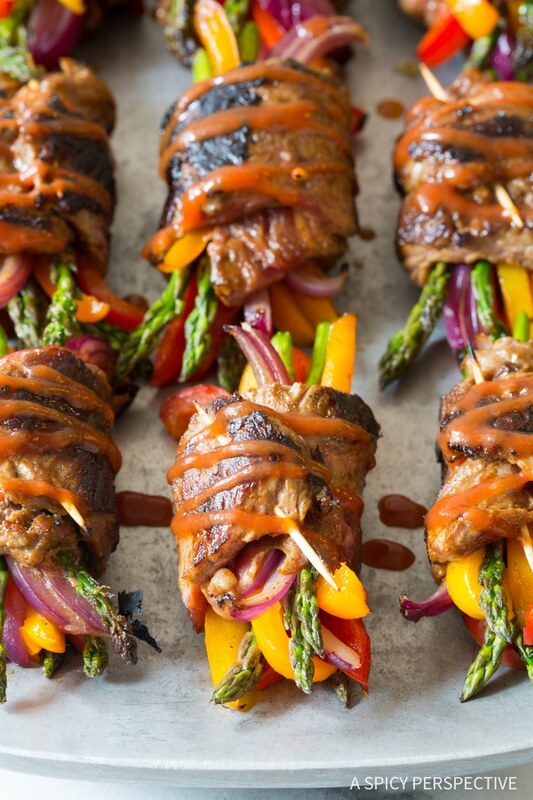 Quick and zesty Low Carb Steak Fajita Roll-Ups, a fresh healthy main dish (or finger food) no one can resist! Cinco de Mayo is this Friday… Do you know what you’re serving? 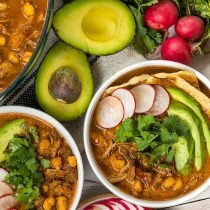 If you are trying to stick to a lean low carb diet, a holiday celebrated with tortilla chips and queso can be a little tricky. Don’t worry. This year you can skip the chips without feeling like you’re suffering. 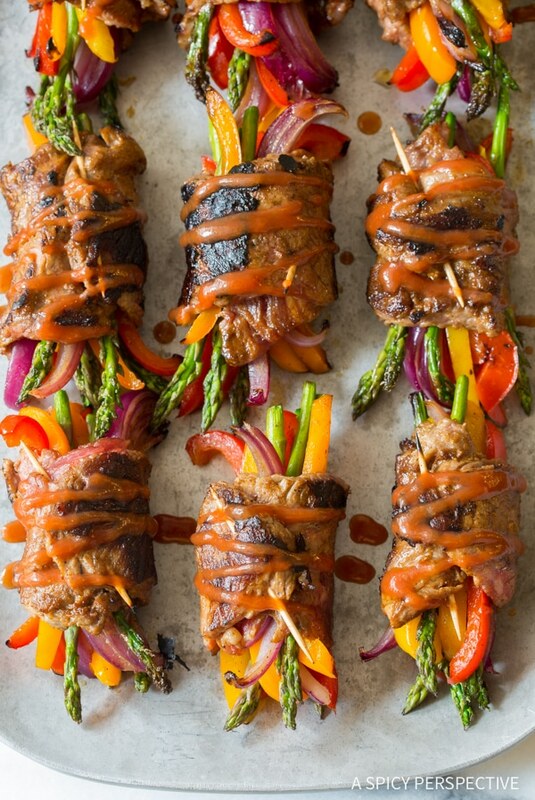 I’ve got hot sizzling Low Carb Steak Fajita Roll-Ups that are just as tantalizing as classic fajitas, without the tortillas! 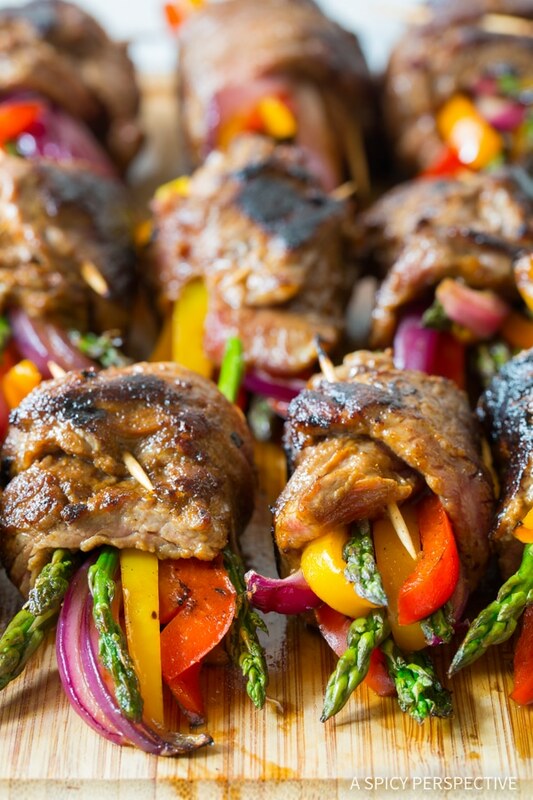 Thin pieces of flank steak and Old El Paso Fajita Seasoning Mix make an amazing base for this Low Carb Steak Fajita Roll-Ups recipe. It’s important to butterfly the flank steak and pound out the thickest sections with a meat tenderizer (or rolling pin) so that you have one large thin sheet of flank steak to work with. Then season the flank steak with Old El Paso Fajita Seasoning and cut into 12 short strips. 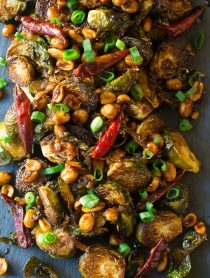 Quickly char the veggies in a hot dry pan. This softened them a little so they aren’t raw in the middle of each roll-up. 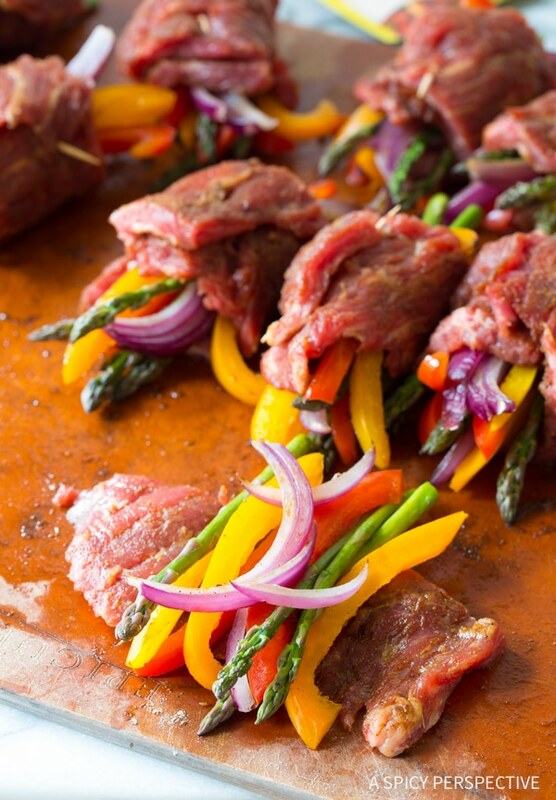 Wrap the steak around several pieces of pepper, onion, and asparagus. Then secure the rolls with a toothpick. Add oil to the pan and sizzle the roll-ups, turning them so all sides are evenly cooked. 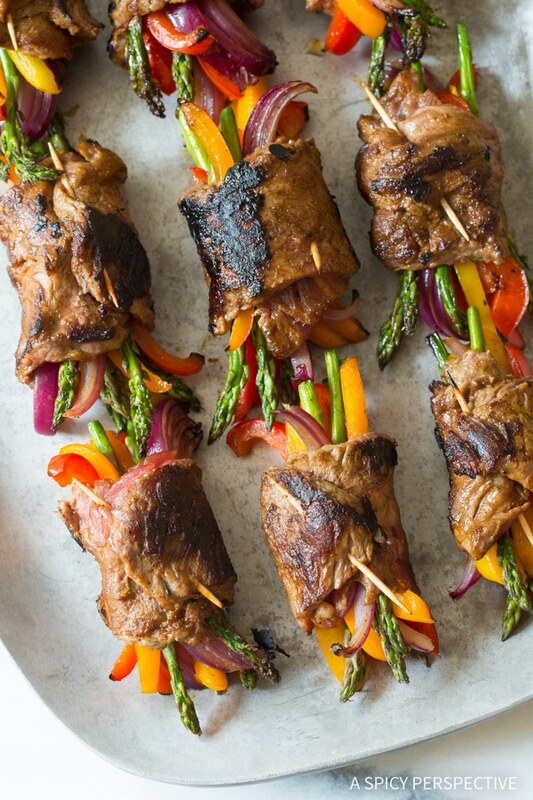 These little Low Carb Steak Fajita Roll-Ups can be eaten as a main course with low carb sides, or as party snacks. 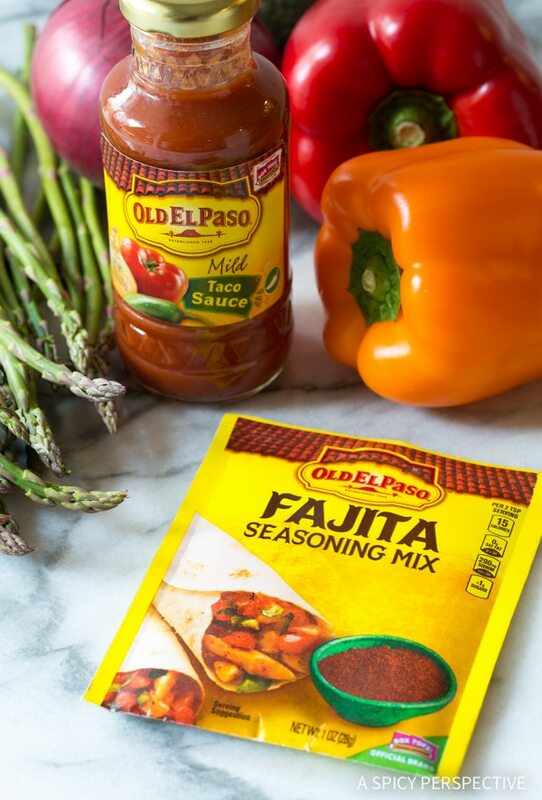 They have a lovely smoky quality from the Old El Paso Fajita Seasoning, and taste amazing drizzled or dunked in Old El Paso Taco Sauce! Low Carb Steak Fajita Roll-Ups Recipe - Lean and zesty with big fajita flavor! 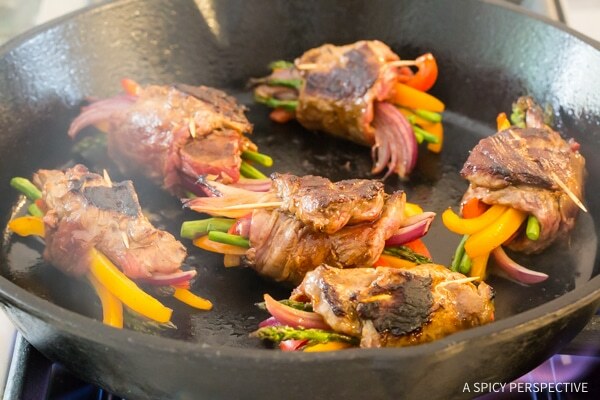 Using Flank steak, fresh vegetables, and spice, make meal wraps for dinner. Starting on one long edge, use a sharp knife to butterfly the flank steak, cutting it open parallel to the cutting board, so it can open like a book with two thin layers. 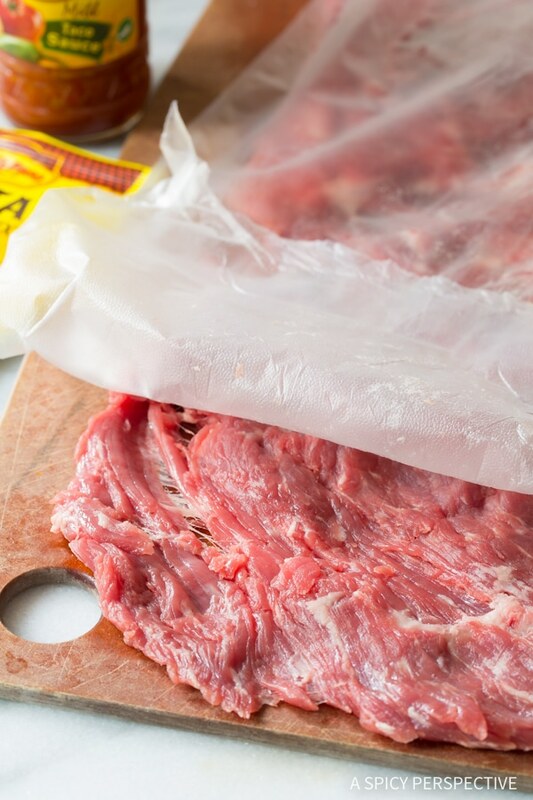 Stretch the flank steak out and cover with plastic wrap. Use a meat tenderizer (or rolling pin) to pound the thickest sections creating one even thin piece of flank steak, double the length of the original. 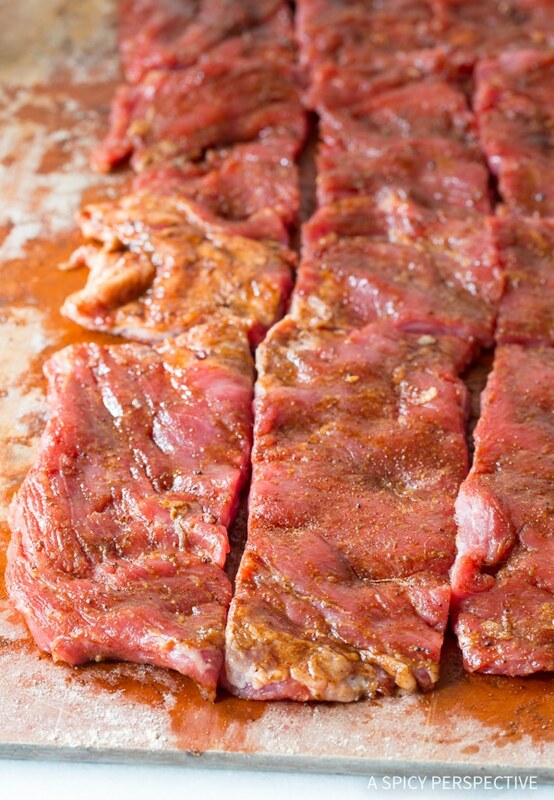 Remove the plastic and sprinkle Old El Paso Fajita Seasoning over both sides of the steak. Then cut the flank steak into twelve segments, 2.5 X 5 inches long. Seed the bell peppers and slice into thin strips. Trim the ends of the asparagus so that the tops are about the same length as the bell peppers. Discard the ends. Peel the onion and cut into thin wedges. Heat a large skillet over high heat. 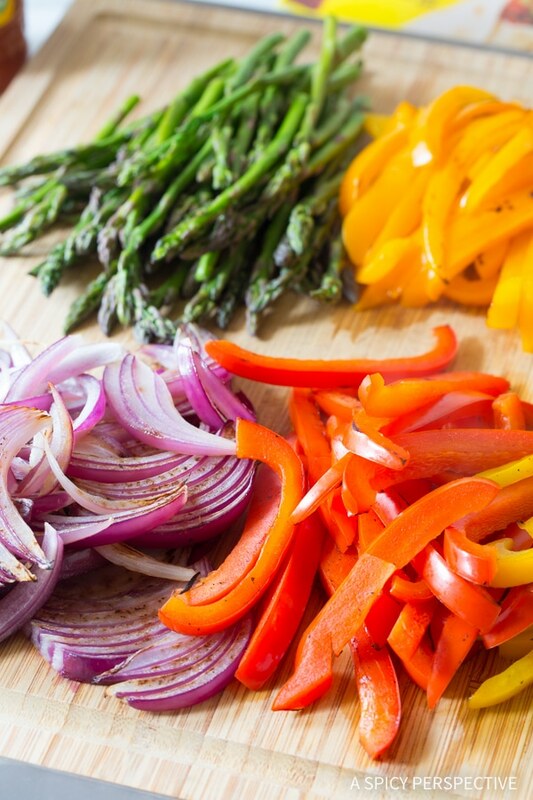 Once hot, work in batches to blister the peppers, asparagus, and onions in a dry pan. Leave them in only 1-2 minutes per batch, to create char marks. Then remove. 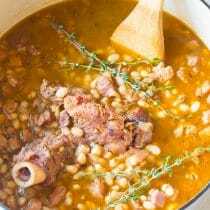 Lower the heat to medium-high. Lay several pepper strips, asparagus spears, and onion wedges across each flank steak strip, creating a cross pattern. Wrap the ends of the flank steak tightly around the veggies and secure the ends with a toothpick. Add 1 tablespoon oil to the pan. Once hot, add 6 rolls to the skillet. Sear 1-2 minutes per side, rotating to sear all sides. Cook the rolls approximately 5-6 minutes total, for medium-rare steak. Remove the rolls and repeat with the remaining oil and rolls. 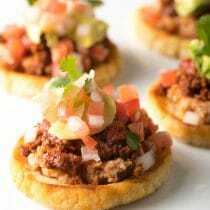 Serve warm drizzled with Old El Paso Taco Sauce. NOTE: These little roll-ups make great lunch box leftovers! I added a strip of zucchini to the bundle. 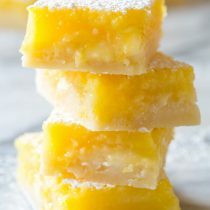 This recipe was a hit. I will make it again. I tried fixing these and they were very visuallly appealing, but the inside of the steak was essentially raw. I ended up throwing the whole batch away. Butterfied the steak as best as I could. Next time I plan on grilling each strip on both sides before I wrap the veggies. 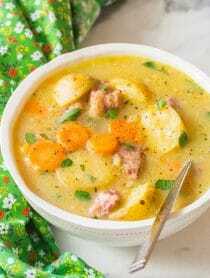 I still think will be a great dish with some tweaks. I love the idea of these! Plus I like how you can either throw them on the cast iron skillet or on the grill. 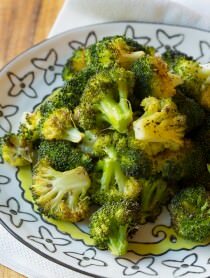 What a beautiful dish with all those fresh colorful veggies! What a great dinner idea! Love this! I so need these tasty rollups!